SE trim. FUEL EFFICIENT 43 MPG Hwy/37 MPG City! Keyless Start, Alloy Wheels, Back-Up Camera, iPod/MP3 Input, CD Player, Bluetooth AND MORE! Back-Up Camera, iPod/MP3 Input, Bluetooth, CD Player, Aluminum Wheels, Keyless Start Rear Spoiler, MP3 Player, Keyless Entry, Child Safety Locks, Steering Wheel Controls. Edmunds.com's review says "With the rear seats in place, the Mirage offers a respectable 17.2 cubic feet of cargo space. With the seats folded down, capacity increases to 47 cubic feet: a good number for this class.". Hello, I would like more information about the 2017 Mitsubishi Mirage, stock# MI8134. Hello, I would like to see more pictures of the 2017 Mitsubishi Mirage, stock# MI8134. 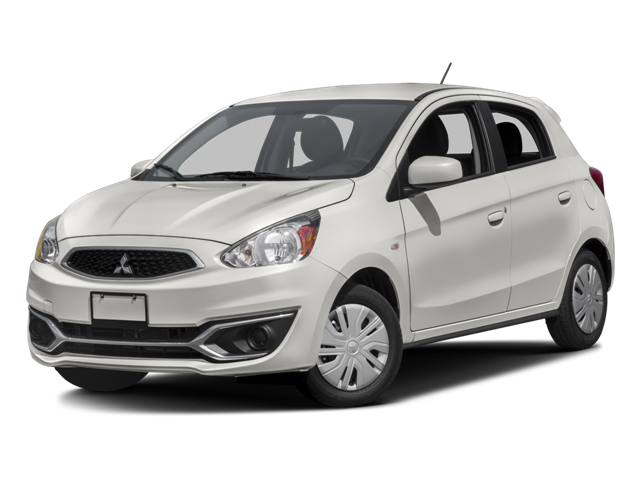 Ready to drive this 2017 Mitsubishi Mirage? Let us know below when you are coming in, and we'll get it ready for you.